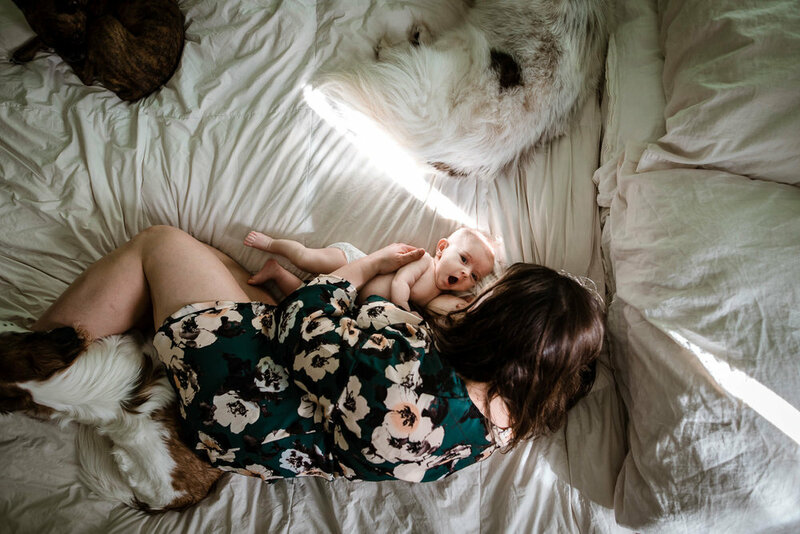 Book an honest storytelling session at home in Minneapolis, St. Paul, or the surrounding metro area with baby to document a fleeting and unique season in your life. 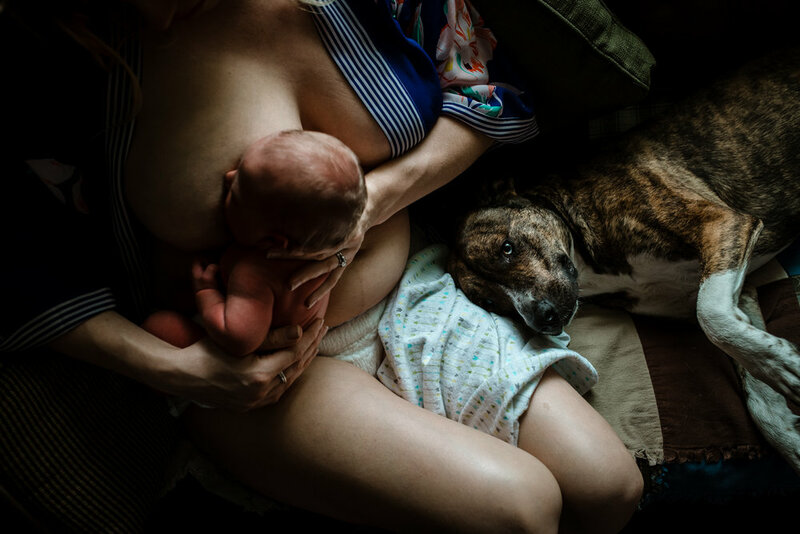 The days are long, the nights are longer, and the baby you spent so much time waiting for is finally in your arms for you to kiss and memorize and adore. This is an opportunity to practice authentic self-love. To honor your body exactly as it is — swollen, naked and milk-stained; you're exhausted and thrilled and oh so in love. Feeling the hazy daze of new parenthood, no longer pregnant, learning and healing and growing; you're changed and on the cusp of something new. Get in touch today to book your session!